A sparkling alcoholic lemon brew made with real lemons and natural lemon flavours, containing real juicy bits. 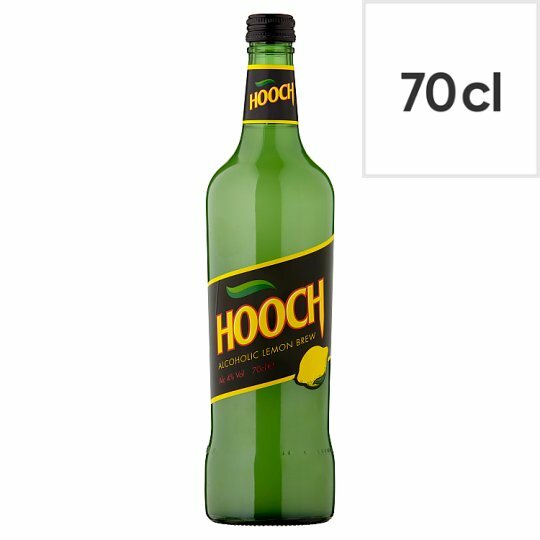 Hooch is truly a legend of the drinks world. Originally launched in 1995 we had a brief sabbatical in the noughties but are now firmly back in the nation's hands. Our outrageously refreshing, alcoholic fruit brew comes in two flavours; the original lemon with its signature citrus hit and our new passion fruit and mango Hoola Hooch which has received rave reviews from all that have tried it. Hooch is known for its no nonsense take on life, with original comedy and partying at festivals being two of our favourite pass times!